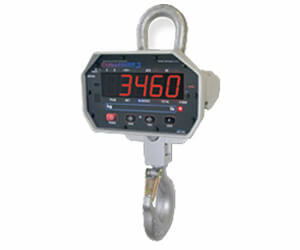 Crane Scales - Accurate Scale Industries Ltd. NEED TO WEIGH 75,000KG? YOU’D BETTER HAVE THE BEST INDUSTRIAL CRANE SCALES OUT THERE, AND ACCURATE SCALE IS A SUPPLIER OF CHOICE. SAFE AND RELIABLE, WITH WATERPROOF AND REMOTE DISPLAY OPTIONS, WE’VE GOT THE RIGHT SOLUTION FOR YOUR APPLICATION. One of the most advanced tension scales on the market, the MSI Tension Dynamometer comes in a variety of models that support 1,000 lb to 100,000 lb. 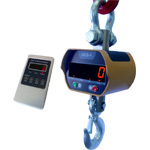 Numerous options are available including shackles, travel case and remote display system. Using ScaleCore, the latest in instrumentation technology, the MSI-3460 has reached a new level of capability. 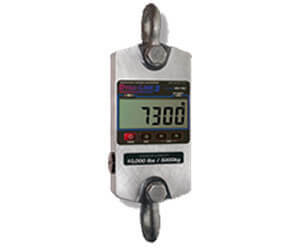 An enhanced display, improved resolution settings, and accurate readings over a broad 250 lb to 15,000 lb range make the industry leading crane scale even better. Made in the USA to the highest manufacturing standards; the MSI-3460 has a reputation for safety and accuracy. An ultra-heavy duty remote display with milled anodized aluminum and complete waterproof casing, the MSI-8000 is the top product for reliable displays. Used in petro-chemical, marine, aerospace and energy industries, this is the trusted name in remote indicators. Capable of connecting through wifi, ethernet or serial option cards, this is as versatile as it is robust. With models ranging from 2,000 lb to 20,000 lb, these scales prove their high-performance and heavy-duty specifications. 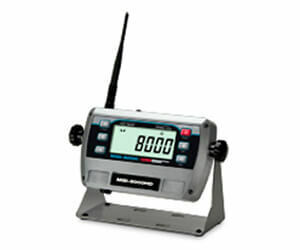 Readings are fast and stable up to 1/3,000 resolution with metric and imperial units.